This is for a 1ltr bottle and is about the same price as a 70cl. This was instore at the Cheshunt (brookfield park) so I am not sure if it is on elsewhere. Glenmorangie (the toponym is believed to derive from either Gaelic gleann mor na sith "vale of tranquillity" or gleann mór innse "vale of big meadows") is a distillery in Tain, Ross-shire, Scotland that produces single malt Scotch whisky. The distillery is owned by The Glenmorangie Company Ltd, whose main product is the range of Glenmorangie single malt whisky. Glenmorangie is categorised as a Highland distillery and boasts the tallest stills in Scotland. It is available in Original, 18 and 25 year old bottlings, special cask bottlings, cask finishes, extra matured bottlings and a range of special edition bottlings. The Glenmorangie Company also owns the Ardbeg Distillery on Islay and The Scotch Malt Whisky Society based in Leith, Edinburgh. whats the RRP price normally anyone know? Its about £35 I think usually. I'm sure I've seen it around the £20 on a few occasions though, still decent price. Just got the last bottle @ Parrs Wood Tesco. 70cl was still £29.99! Ticket said, £25, save £13.99! Nice!! One of the best Single Malts. One of my favourites alongside the Glenlivet. Hot! Just picked up a bottle in my local Tescos, and it's on the website as well. 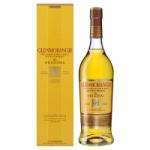 It's one of my favourite single malts, smooth with hints of vanilla. And the Highlander drinks it (on the rocks though, scandalous! ).